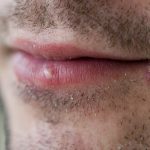 Oral Herpes VS Genital Herpes? How to prevent the transmission? Will Herpes Affect My Pregnancy? 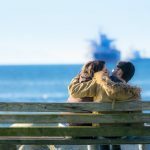 How to Overcome the Herpes Stigma? To most people being diagnosed with herpes simplex virus is devastating news. Living in isolation and ignorance about the virus further adds stress to one’s life. At times it’s difficult to question someone about the disease and get satisfactory answers. It pays to have a reference material where you can refer to over and over again for a deeper understanding. Resourceful materials are therefore the best. Managing herpes symptoms like the painful sores is easy through medication. However, the disease also attracts the social stigma. 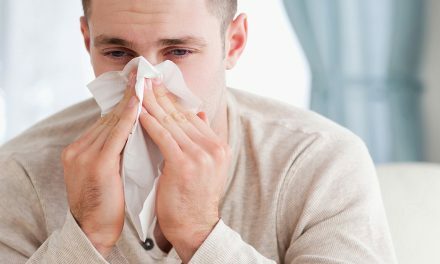 To live with the virus you need the antiviral drugs and learn how to manage the social shame people associate with the infection. Yes, I Have Herpes give you the first hand experience from a medical standpoint. The gynecologist begins on narrating her true story of how she contracted the viral infection and the resulting blow to her self-esteem and relationship. The book is full of insights; dispels myths and presents facts about the disease. Reading through the book will enrich you with a wealth of information on the physical and psychological therapy of the disease. National HELP is an underground support group majoring on herpes related themes. Although it’s a hidden group, it boasts thousands of members drawn from all over the USA. However, performing the usual search of the group on Facebook reveals no results on its existence. To join the group you have to go through the group administration for instance But first, you’ve got to own a Facebook account. 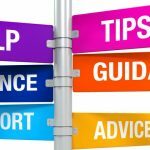 After joining the National HELP herpes support group, you can then extend your search to find a herpes social media support group within your territory. Being a member of such a social group makes you aware of the group’s social gatherings. 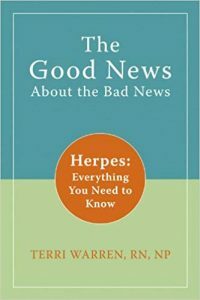 Without a trusted reference source, weeding out the facts from myths surrounding herpes treatment and medication becomes difficult. Managing herpes stigma becomes easier when you know the statistics on how widespread the infection. The world health organization newsroom gives you the facts. In addition, it gives the verified statistics on the virus prevalence in different regions. The CDC website gives both the basic and the detailed fact sheets ob understanding the infection. 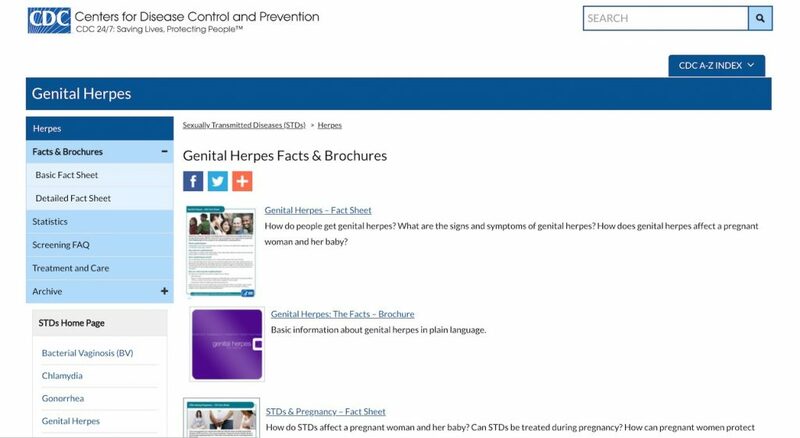 From the simplest question of what is herpes to the treatment options, the CDC websites enlighten about the disease. Unlike other medical journals which employ technical terms to explain themselves, the site gives the information in a plain language. 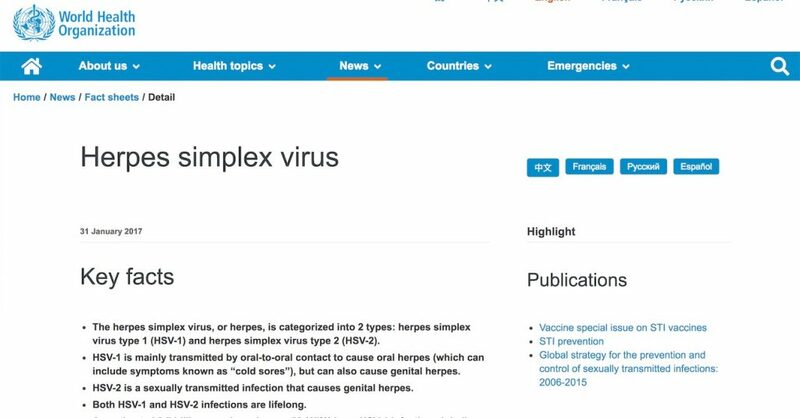 Can you tell the difference between herpes simplex virus and HPV, Human Papillomavirus? The website sheds light on the two infections clearly. It even incorporates commonly asked questions about the disease in the FAQ screening and supplies their answers. Finally, it avails a link through which you can download treatment guidelines for the common STD. Download link containing a detailed guide to understanding the viral infection, how it affects pregnancy and relationships. Having the facts on the causes, symptoms of an outbreak, medication, and triggers about the virus is a crucial step in fighting the disease. The above resources present some of the places to dig out for those facts. Join support groups and get practical tips on living with the infection. Let not the disease thwart your hope of a brighter future. Through the therapies either episodic or suppressive treatment you can suppress the herpes symptoms greatly. If You are Having an Outbreak, What Should You Do? *This website is not intended to provide medical advice or to take the place of medical advice and treatment from your personal physician. Visitors are advised to consult their own doctors or other qualified health professional regarding the treatment of medical conditions. The author shall not be held liable or responsible for any misunderstanding or misuse of the information contained on this site or for any loss, damage, or injury caused, or alleged to be caused, directly or indirectly by any treatment, action, or application of any food or food source discussed in this website. The U.S. Food and Drug Administration have not evaluated the statements on this website. The information is not intended to diagnose, treat, cure, or prevent any disease.